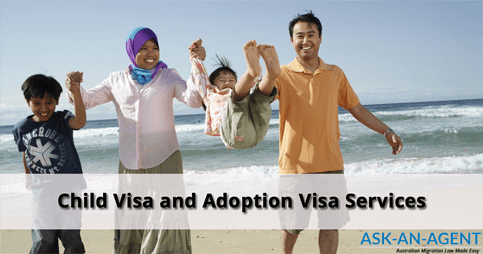 What is a child visa in Australia? A child visa is for a child, adopted child or stepchild of an eligible parent and a sponsor of child visa must be the eligible parent or the eligible parent’s partner who lives together with the eligible parent. Is there an age limit to apply for a child visa? 25 years old is the age limit for a child visa. If the child is over 18 years old, the child needs be a full time student and to prove the financial dependency to the eligible parent. A child who has physical or mental disability and can provide medical evidence that shows inability to work due to the disability may not need to provide further evidence on the financial dependency. Is the same age limit applicable to adopted child or stepchild? A stepchild needs to be under 18 years old and the eligible parent is the step parent who has legal responsibility for the child and is no longer the partner of the child’s parent. Can I apply for a child visa while I am outside Australia? A child visa can be applied for both in Australia (child visa subclass 101) and outside Australia (child visa subclass 802). Can I include my spouse into my child visa application? Relationship status of child visa applicants cannot be married, de facto or engaged to be married. If the child visa applicant is 18 years old or over, the applicant must have never before been married or in a de facto partner.